﻿ Influencer campaign exceeds 5.2m views in 6 weeks! Influencer Activity exceeds 5.2m views in 6 weeks! 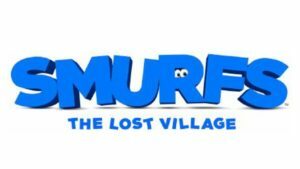 For this fantastic influencer campaign, Viral Talent teamed up with Sony Pictures to launch Smurfs the Lost Village. The brief from Sony was to engage with children aged 4 – 8 years old and utilise influencers to showcase the new film. Viral Talent recommended the UKs largest child vlogger – Tiana from Toys AndMe. The video communicated the key themes but also focused on elements that her fans would enjoy. The key focus was to deliver viral content but showcase the film, its characters and the trailer. To showcase the key themes Tiana, her Dad and two friends visited the Smurfs Lost Village Pop Up Promotion stall in Nottingham. They played on a variety of Smurfs games and met the characters. From this we then included a popular challenge that children love to watch – The Gelli Baff Challenge! This wasn’t any normal challenge, this was a Smurfs related challenge, in which Tiana and her friends were dressed as Smurfs and finding Smurf toys from the film. The video over delivered in regards to expected views. In just over 6 weeks the video has generated over 5.2m views! Not only was the film promoted across the Toys AndMe channel, we also created a shout out video on the Toys AndMe Instagram page on the day of launch (7742 views / 64 comments) and a further Instagram post to promote the video 2709 Likes /104 comments).